True Forensic Science participated in the V Forensic Science, Law, and Public Safety COESFO Conference, Acapulco, Mexico, 2017. 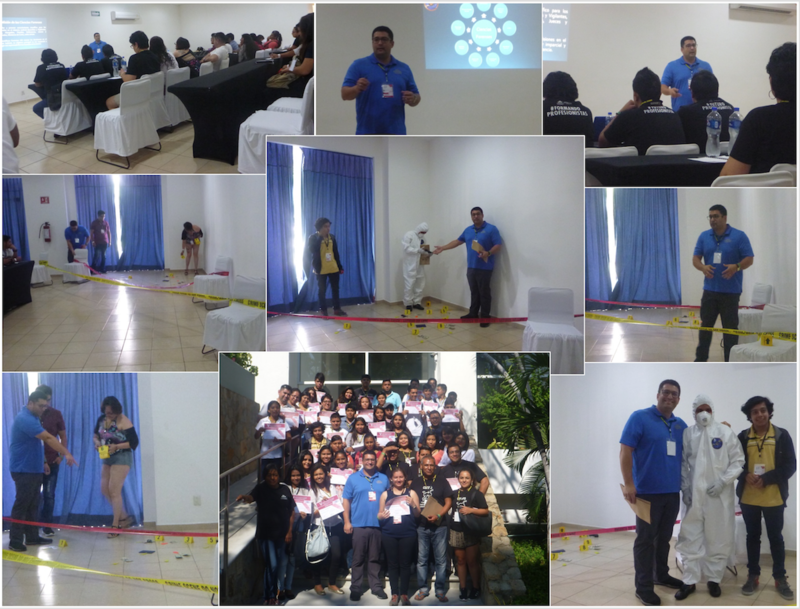 Our Science Director, Prof. Carlos A. Gutierrez, offered a “Crime Scene Investigation (CSI)” workshop during the Conference, where a group of around 50 people could lear about the latest techniques and procedures used worldwide for crime scene processing. This practical training provided the attendees with new abilities and skills to learn how a crime scene should be worked in the “real-world” and be able to obtain the best possible outcomes when investigating a crime.